Every Spring, locals eagerly await the flowering tree blossoms. In the Central Valley, the white petals from the almond orchards can look like snow. 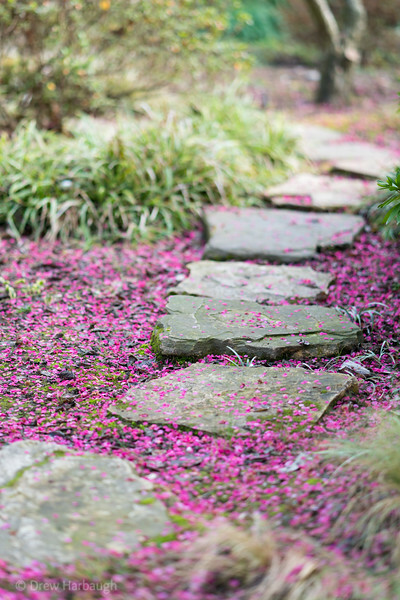 In this photograph, taken at Fresno's Shinzen Japanese Friendship Garden, Ume (Japanese Plum) blossoms line a stone path.